تشكل مدينة زنجبار الحجرية نموذجاً رائعاً من المدن التجارية الساحلية السواحيلية في افريقيا الشرقية. وقد حافظت على نسيج ومنظر مدني لا يزالان على حالهما وعلى أبنية رائعة تروي ثقافتها المميزة القائمة على مزيج عناصر متفاوتة من الثقافة الافريقية والعربية والهندية والأوروبية امتد على أكثر من ألف سنة. «Каменный город» в Занзибаре – это прекрасный пример прибрежного торгового города народа суахили в Восточной Африке. Он сохранил свою городскую застройку и облик в почти нетронутом виде и имеет много прекрасных зданий, отражающих особенности этой цивилизации, которая в течение более чем тысячелетия вбирала в себя и объединяла элементы культур Африки, Арабского региона, Индии и Европы. La ciudad de piedra de Zanzíbar es un magnífico ejemplo de las ciudades comerciales swahilíes del litoral del África Oriental. Ha conservado su tejido y paisaje urbanos prácticamente intactos, así como muchos edificios soberbios que ponen de manifiesto la peculiar cultura de la región, en la que se han fundido y homogeneizado a lo largo de más de un milenio elementos muy diversos de las civilizaciones de África, Arabia, la India y Europa. De Stenen stad Zanzibar is een mooi voorbeeld van een Swahili-handelsstad. De heersende islamitische dynastie en aanwezige buitenlandse kooplieden werden erg welvarend en verrijkten de stenen stad met paleizen en fraaie herenhuizen. Deze hadden een verscheidenheid van stijlen en tradities, maar werden samengevoegd en gehomogeniseerd tot de karakteristieke Swahili-architectuur. In de 19e eeuw werd deze Swahili-traditie overweldigd door nieuwe stijlen, onder andere de Minaret Moskee dateert uit deze periode. Zanzibar is van grote symbolische betekenis voor de bestrijding van de slavernij. Het was een van de belangrijkste slavenhandelhavens in Oost-Afrika, maar ook de basis van waaruit tegenstanders, zoals David Livingstone, hun campagne voerden. Located on a promontory jutting out from the western side of Unguja island into the Indian Ocean, the Stone Town of Zanzibar is an outstanding example of a Swahili trading town. This type of town developed on the coast of East Africa, further expanded under Arab, Indian, and European influences, but retained its indigenous elements, to form an urban cultural unit unique to this region. The Stone Town of Zanzibar retains its urban fabric and townscape virtually intact and contains many fine buildings that reflect its particular culture, which has brought together and homogenized disparate elements of the cultures of Africa, the Arab region, India, and Europe over more than a millennium. The buildings of the Stone Town, executed principally in coralline ragstone and mangrove timber, set in a thick lime mortar and then plastered and lime-washed, reflect a complex fusion of Swahili, Indian, Arab and European influences in building traditions and town planning. The two storey houses with long narrow rooms disposed round an open courtyard, reached through a narrow corridor, are distinguished externally by elaborately carved double ‘Zanzibar’ doors, and some by wide vernadahs, and by richly decorated interiors. Together with, the simple ground floor Swahili houses and the narrow façade Indian shops along “bazaar” streets constructed around a commercial space “duka”. The major buildings date from the 18th and 19th centuries and include monuments such as the Old Fort, built on the site of an earlier Portuguese church; the house of wonder, a large ceremonial palace built by Sultan Barghash; the Old Dispensary; St. Joseph’s Roman Catholic Cathedral; Christ Church Anglican Cathedral commemorating the work of David Livingston in abolishing the slave trade and built on the site of the last slave market; the residence of the slave trader Tippu Tip; the Malindi Bamnara Mosque; the Jamat Khan built for the Ismaili sect; the Royal Cemetery; the Hamamni and other Persian baths. Together with the narrow, winding street pattern, large mansions facing the seafront and open spaces these buildings form an exceptional urban settlement reflecting the longstanding trading activity between the African and Asian seaboards. In particular the Stone town’s is also marked by being the site where slave-trading was finally terminated. Criterion (ii): The Stone Town of Zanzibar is an outstanding material manifestation of cultural fusion and harmonization. Criterion (iii): For many centuries there was intense seaborne trading activity between Asia and Africa, and this is illustrated in an exceptional manner by the architecture and urban structure of the Stone Town. Criterion (vi): Zanzibar has great symbolic importance in the suppression of slavery, since it was one of the main slave-trading ports in East Africa and also the base from which its opponents, such as David Livingstone, conducted their campaign. The individual buildings in the Stone town manifest, through their structure, construction materials and techniques, the interchange and influence of the different cultures around the Indian Ocean rim. The outstanding universal value of the property resides in the character of the assemblage of blocks (cluster) and buildings, the layout of the Town including the relationship of buildings to the open spaces, streets, roads and gardens, the character of the littoral edge viewed from the sea, and the nature of access to the sea from the land. These are all still intact but the buildings are vulnerable to deterioration and the visual aspect from the sea is vulnerable to inappropriate development. Work on the Malindi Port development project, including the loss of two historic warehouses, and erection of new, inappropriately scaled and designed port facilities without prior approval has created a precedent on how unintegrated development, and legitimate modern inspiration of Zanzibaris, if not well thought through and articulated, could be a threat to the integrity of the property. The property boundary coincides with the boundary of the Urban Conservation Area including the port area to the north, bounded by beaches along the north-west and south-west, open areas to the east and older part of Darajani Street. The buffer zone covers the historic part of Ng’ambo that includes part of the modernist buildings of Michenzani and the main road of Mlandege. The ensemble of the town largely preserves its historic urban fabric and landscape. The buildings, their uses, and the layout of the streets continue to express the interchange of human values around the Indian Ocean rim. The materials and the skills of construction used in the town are still widely used in the Zanzibar archipelago and the Swahili coastal zone. The local artisans are competent in both the traditional building techniques and the skills needed to produce quality construction materials, namely laterite-sand, lime and coral stone. Traditional materials and construction techniques are still being employed to a large extent, though there is growing competition from modern materials, designs, and techniques.The continuity of traditional uses of most of the buildings in the historic town as residential and commercial space maintains the town as an important administrative and economic centre of the archipelago. Yet, the authenticity of the Stone Town in its setting is vulnerable to the inappropriate scale and design of new development in the property and its buffer zone. Cultural property in the Zanzibar archipelago is protected under the “Ancient Monuments Act” of 1948. This legal framework protects individual monuments and sites Gazetted in the Official Gazette. Responsibility for the monitoring and management of these monuments falls within the jurisdiction of the Department of Museums and Antiquity. The Town and Country Planning act of 1955 also provides a clause to protect historically important houses. The Stone Town has been protected as a conservation area since 1985, under the Town and Country Planning Act of 1955. Finally, values, boundaries and features have been further protected by the Stone Town Conservation and Development Act of 1994 and the associated Master Plan which specifies actions and strategies to be taken to safeguard, conserve and develop the values of the Stone Town. Together with these legal frameworks, the Stone Town Conservation and Development Authority (STCDA) which was created in 1985 has a full mandate to coordinate and supervise the Master Plan of 1994. Many buildings of the Stone Town are also protected by other institutions such as the Department of Housing and Human Settlement and the Commission of Waqf. A Management Plan for the property was prepared by the STCDA in consultation with all stakeholders, in 2007, with the stated vision to: “protect and enhance the Stone Town cultural heritage leading to it being well preserved as a sustainable human settlement supportive of its cultural diversity and maintaining its Outstanding Universal Values”. The Stone Town is not only an historic living town but also a commercial and socio-cultural centre of the Zanzibar Archipelago. As such, the property is subject to the pressure of development, manifested through traffic problems, changes of land uses and the lack and high expense of accommodation inside the Stone Town. Tourist development since 1990 is an important factor in the development pressure on the town. However the absence of clear policies on heritage promotion, cultural tourism, and the lack of a strategy on how to accommodate tourism development, and on how to revitalize public spaces could result in random development that could threaten its Outstanding Universal Value. The management system set out in the Management Plan (2007), produced by comprehensive consultative approach under the supervision of STCDA aimed to mitigate these pressures. 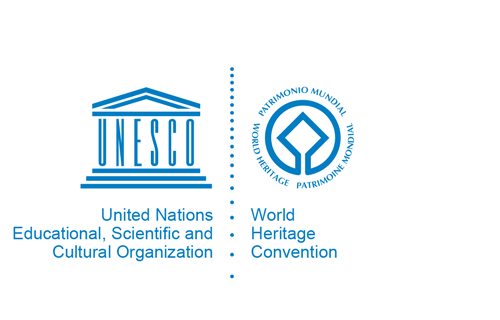 Nevertheless, an integrated and sustainable conservation and development approaches are urgently needed in order to develop practical sustainable management strategies to ensure that the overall coherence of the town and its highly distinctive town planning, architecture and traditional methods and materials of construction are sustained.